No other booze but Pimm’s please. I am not a big drinker. Alcohol I mean. I used to be – in my young, crazy and wild days. I do enjoy an occasional night out with wine/coktails but in my everyday life I close to never drink alcohol. Unless it is summer and holiday spent with my family and/or friends. Aperitifs, degistifs, wine with food, coktails after the beach, pool, you name it. My drink of choice is Pimm’s. This British and spicy drink has a long history and is as popular as tea for many Brits. 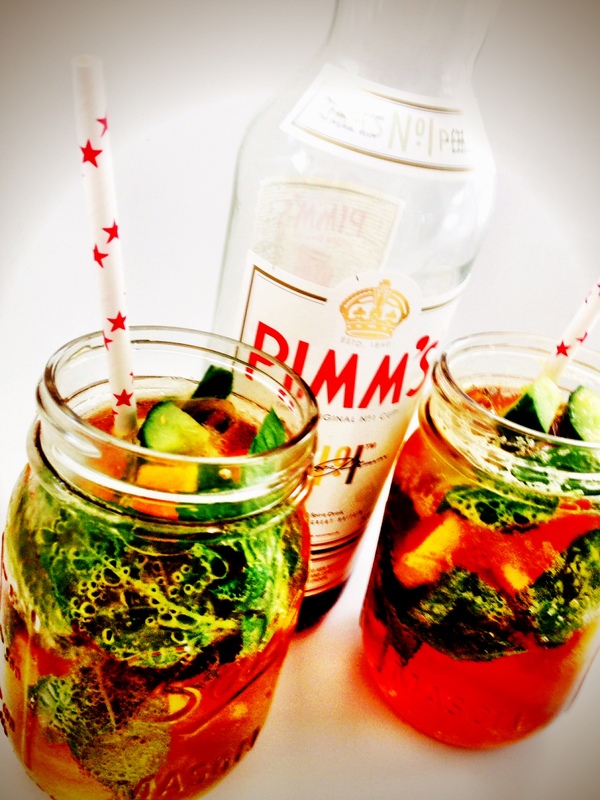 My first Pimm’s was had on a hot day in June 2001. In Wimbledon in the company of strawberries and cream and André Agassis in white shorts about 20 metres away on the centre court. My old tennis idol so close and that pitcher of Pimm’s created a magic moment that will never be forgotten. 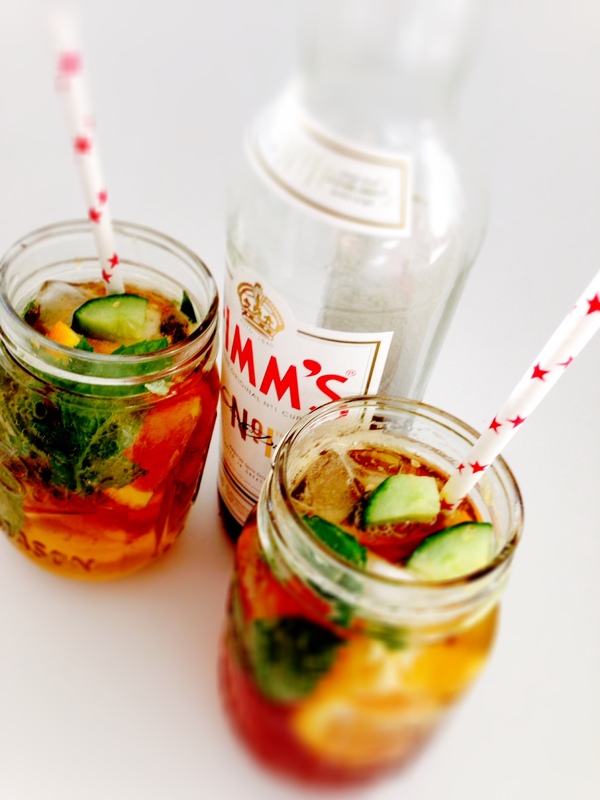 I am happy to see that Pimm’s now can be bought on the Swedish Systembolaget (booze shop governed and controlled by the Swedish state) and I am looking forward to enjoy many Mason ball jars of this fresh, cooling drink this summer. 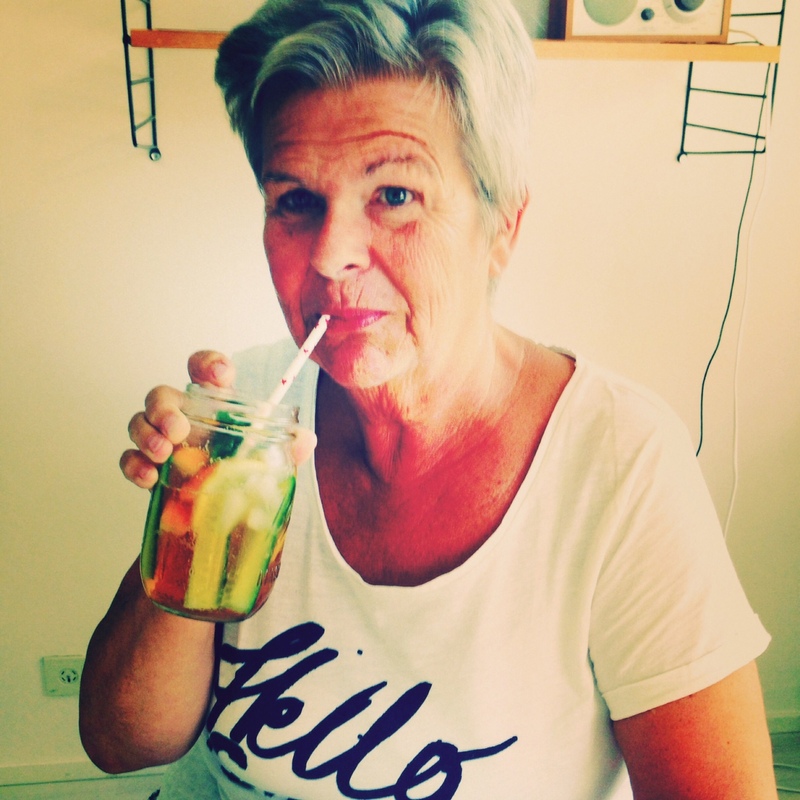 My mamma is visiting and she has now for the first time tried it. It was not her last. 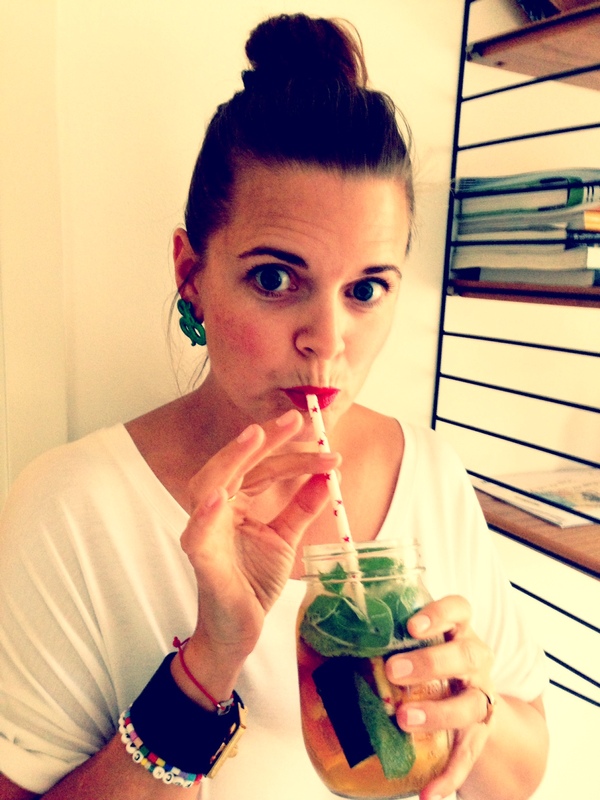 And, with all that fruit and green stuff, it gives you not only a spiritual boost but also a bit of a vitamin kick. I keep my Pimm’s pretty clean and pretty “light”, not too much alcohol. Try it this summer and have a taste of summer England and the lush life of Wimbledon. – One slice of orange, one slice of lemon a few cuccumber sticks. – Put it all in a glass, jar. And enjoy! Slurp and talk to you later! Ulrika/on her way to paint mamma’s toe nails. Typical holiday behavour á la Collvin.